BLUEBERRY: the North American Native Wonderberry. 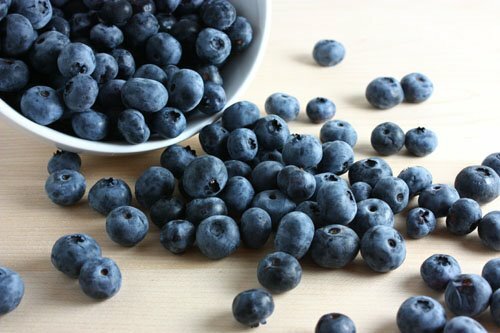 As one of North America’s indigenous fruit crops, blueberries were a welcome addition to the diets of early settlers when fresh food was in short supply, and sugar was scarce and expensive. They were an important part of the Native American diet and lifestyle – used fresh, dried and powdered. Native Americans believed the “Great Spirit” sent the star berry (referring to the five point star on the blueberry) to relieve the hunger of children during a famine. Humans not only held the fruit in high regard, but bears as well. It has been documented that bears will travel, with and empty stomach to 10 to 15 miles per day to find a blueberry patch, and will eat nothing except the juicy berry when it is in season. North America’s early explorers noted of blueberries and the harvesting by natives. They were dried, beaten into a pulp/powder and combined with cornmeal, honey and water to make a pudding called “Sautauthig”. Some would also smoke the blueberries in an effort to preserve them through the winter. Though the fruit is of a high nutritious caliber the plant it self was used for medicinal purposes, making teas from the root was common practice for use as a relaxant during childbirth. Early medical books list a tea made from the root to be used in the same manner. While the juice is good as treat it was also used for “old coughs”, and the leaves were used to make tonics. While there is no doubt to the health benefits of the seemingly common blueberry, now you can enjoy the long history of such a beloved fruit! This entry was posted in Uncategorized and tagged Blueberry by kretzje. Bookmark the permalink.